Ramamurthy sips his daily cup of tea while reading daily market news while his son Satya Prakash is frantically searching for his favourite sports-star. His wife is binging on her favourite playlist while his daughter is buying daily grocery from adjacent Kirana shop using an app. It’s not a scene from a developed Metro but a daily affair of rural life in India today. Life has completely changed due to connectivity and high-speed data availability. World population review puts India’s rural population at 67%. Based on a report released at the ‘India Mobile Congress 2017, while overall Internet penetration in India is 33 per cent, it is only 16 per cent in the rural areas. According to the Cellular Operators’ Association of India (COAI) IMC-Deloitte report, India currently ranks 36th, globally, in Internet inclusion based on availability, affordability, relevance and readiness. India lags many countries in broadband penetration with only 23%. Obviously India’s position can’t be improved only by concentrating on Urban and high density areas. Earlier rural connectivity was mainly through a combination of unreliable microwave links, legacy copper cabling and some percentage of fiber connectivity restricting the digital transformation of India. The major issue with the first two is that the signal degrades with distance and as we move to least dense areas, the connectivity is not at all reliable. 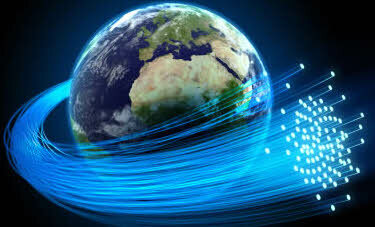 Therefore, a new fiber based connectivity network was needed to provide reliability and push internet inclusiveness. Up until five years back no operator was willing to bet on rural connectivity fearing loss of revenue. Similarly, extending broadband connectivity didn’t make any business sense for telecom companies. So what changed during these years? It’s two major initiatives of Telecom Department: National Optic Fiber Network or BharatNet project and push for digital connectivity. In addition to this with the advent of 4G, operators sensed the need to lay more fiber optic cables as backbone of the wireless networks. The purpose of BharatNet was providing fiber connectivity to all villages and with large mile connectivity to be provided by Wifi or Telecom networks leveraging the available high bandwidth fiber backbone. Now there was no need to put dedicated fiber for providing latest telecom offerings. As of date 2,78,710 Kms fiber has been already laid while around 1000Km cable is being laid very week (based on BBNL website). While laying fiber was only meant for backbone, the success of the project has motivated the telecom department to provide last mile connectivity as well. Now BharatNet has planned to extend Wi-Fi with name “Wifi Choupal”. Till now more than 7000 villages have been provided the service and the initial target is extending the service to over 30K villages. In addition to the fiber deployment push further subsidies were extended to operators willing to extend last mile connectivity through Wi-Fi hotspots. Now in the second phase of BharatNet even extending Fiber to the home services are being planned to take fiber inside each household. The plan for connecting all the Gram Panchayats through was shot in the arm for the neglected sector which opened plethora of connectivity options and suddenly the same rural market became lucrative. Availability of high bandwith fiber fuelled the sparsely available mobile and internet connectivity. While the world moved from 2G to 3G to 4G and is gearing towards 5G, lack of fiber infrastructure was keeping India’s ambitions mitigated. Now operators could lease the existing fiber backhaul for their mobile site providing high bandwidth even on wireless connectivity for last mile communication. Bharti Airtel has committed to partner BharatNet for more than 30K villages for providing broadband connectivity and others are also expected to tread similar lines. Earlier the plan was to provide single fiber to all villages which is now under review to provide upto 6F connectivity. Apart from dropping fiber to villages now Fiber to the home is also being planned on the existing BharatNet Infrastructure i.e., dedicated fiber to each home which can further change the way how we imagine rural India. With wireless connectivity enhanced by fiber optic backbone, now rural population is as connected as urban counterparts with news, latest apps for payment, m-Health apps, online shopping, government schemes etc. benefitting them in ways not imagined earlier. This growth of digital assets will present India with many unique opportunities. Digital literacy in smaller towns and villages can create employment in sectors such as business process outsourcing (BPO), retail, IT, telecom, financial services, etc., and could also be drivers for setting various industries as now this is the untapped market. Connectivity is seen as the only force which could bridge the divide between rural and urban India and fiber could be the missing link for providing the connectivity. The Rural Rollout- How Optic Fibre is Revolutionizing Rural Connectivity 1 out of 5 based on 1 ratings. 1 user reviews. The author is underestimating the cost of last mile deployment by simply assuming that it’s just next step after backbone. Last mile fibre deployment is very hard in the current scenario in rural areas.